Not everyone is born to cook, sometimes we need spices, condiment, or sauce to make our food taste good. 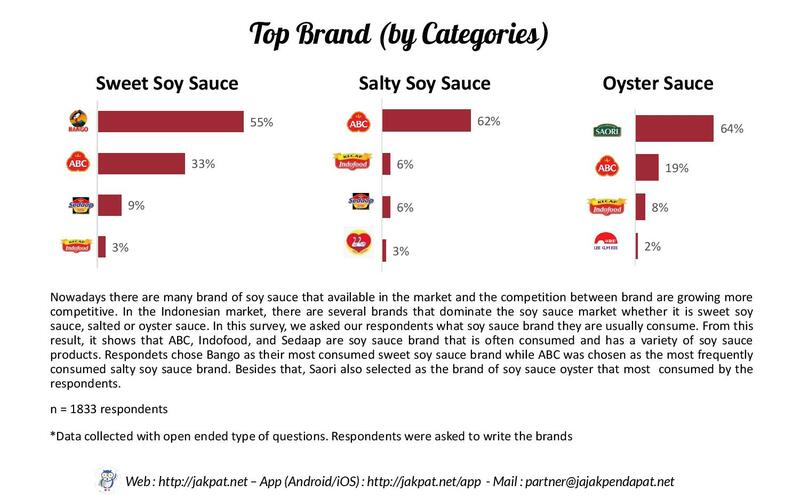 Originated from China and made from fermented soybeans, soy sauce is one of the condiments that serve to enrich our taste of cuisine. 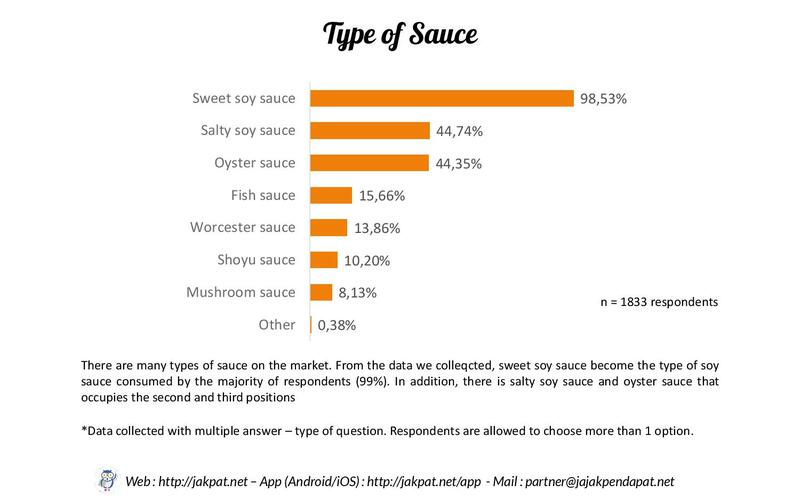 In Indonesia itself there are many types of soy sauce used by households and each type of soy sauce has its own function. 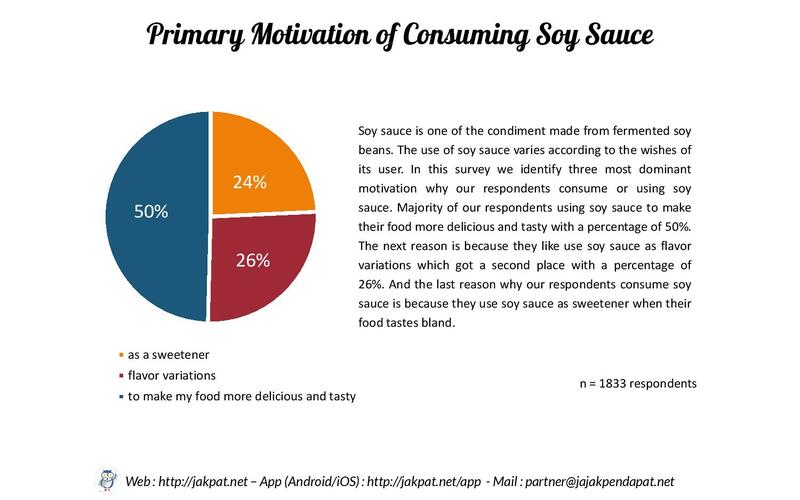 In this survey, we try to find out what motivates people to consume soy sauce and from that, we know three primary reasons our respondents consume soy sauce: to make more tasty and delicious, as a sweetener, and as flavor variations. 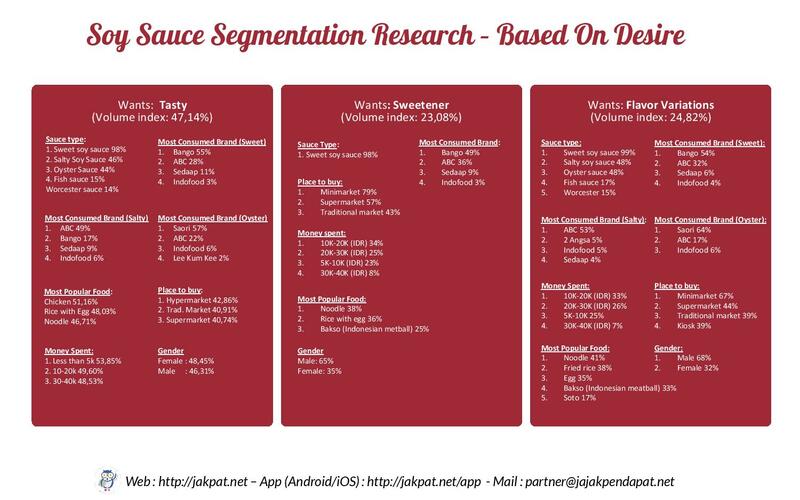 We then use these three reasons as the basic aspect to make the segmentation regarding soy sauce consuming behavior by outlining several aspects. This entry was posted in Housing, Lifestyle, Marketing on February 6, 2018 by Fauziah Khoiriyani.